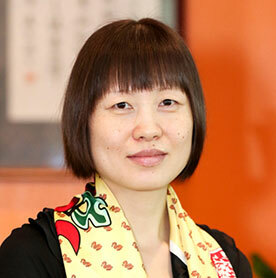 Echo (Huiying) Zong is Office Manager of the CMB Beijing Representative office. She is responsible for overall financial, administrative, and HR management as well as the office’s external communications. Prior to joining CMB, Echo served for Global Alliance for Improved Nutrition (GAIN), a Swiss foundation whose mission is to reduce malnutrition for populations at risk around the world. She also worked in financial and administrative management for a US real estate group and Taiwan Bank’s China Office in Beijing. Echo received her bachelor’s degree in economics from Tianjin University of Commerce in 2002.